Virtual reality is gradually becoming mainstream. There are a lot of virtual reality headsets available on the market today. They vary in capability and pricing. Some work for mobile phones while some are designed for high-end gaming computers. On this list, we’ve compiled the best virtual reality headsets that you can buy in 2018. The Google Daydream View is the latest VR headset from Google. It is a successor to the Google Cardboard. 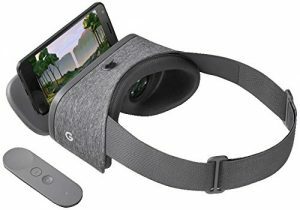 It is nice VR headset that is designed to be used with recent Android phones. But users of the Google Pixel will enjoy it more than other users. The Google Daydream View is designed from a soft, breathable, mesh-like fabric that gives enough ventilation to the face and the head during usage. It is available in fog, coral and charcoal colors. The straps of the headset can fit comfortably and securely over eyeglasses, and the top strap can be used to customize it better. The Google Daydream View headset comes with a remote that can be kept in a loop at the back of the straps. This helps to prevent it from getting lost. The Google Daydream View is powered by software from Google. There is also a streaming feature that allows others to watch what you are doing on a smart TV. This is a good feature that lets others enjoy the same thing that you are enjoying. There are a lot of VR ready content on Google Play Store. You can get access to lots of exclusive games, videos and apps. 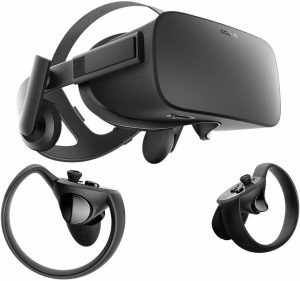 The Oculus Rift comes with two Oculus Touch controllers. It also comes with a remote that allows you to navigate the menus and access volume controls. The headset is fully customizable, and it can adapt and fit to the head of the wearer. This makes it very comfortable. But the Oculus Rift is expensive, and you need a high-end PC to use it. The PC has to come with at least a Nvidia GTX 970/ GTX 1050Ti/ AMD Radeon RX 470 graphics card. 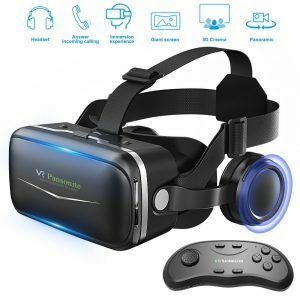 The Pansonite VR headset is a great VR headset for Android devices. It works with a lot of standard Android phones, but you should confirm if your phone is on the list of compatible devices before purchasing it. It is a comfortable headset that stays on the head nicely and fits android phones snugly. It blocks out the surrounding and provides a good mobile VR experience. It is one of the bestselling mobile VR devices. The Pansonite VR headset uses a clear resin composite material to provide a clear image and ensures that one has a lesser chance of experiencing dizziness while using the headset. The face cups are made with soft, breathable faux leather that makes users comfortable while using the headset even for extended periods. The straps are made with a soft, lightweight material that reduces pressure on the eye sockets and they do not add much weight to the neck while using the headset. The Pansonite VR headset also comes with an adjustment system that allows users to adjust the headset depending on the distance to their eyes. The adjustment system has a button that lets users adjust the headset comfortably while they are wearing it. The Samsung Gear VR is the best virtual reality headset for Samsung phones. It works with recently released Samsung phones. It is powered by Oculus Rift. It looks bigger than other smartphone headsets, but its size is an advantage. You can adjust the optics of the Samsung Gear VR using a dial mounted on the top of the headset. The headset is also perfectly breathable even as you are strapped in. The new Samsung Gear VR comes with a unique motion controller. The motion controller has a trigger at the back and a circular touchpad in front. The headset has a USB type C port for charging it. 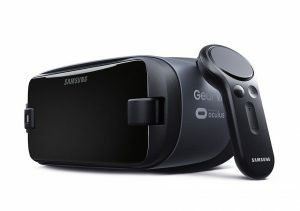 The Samsung Gear VR headset has a large content library with more content added regularly. There will always be new content for you to enjoy with this headset. If your smartphone is incompatible with it, you might even be tempted to buy a Samsung Smartphone. 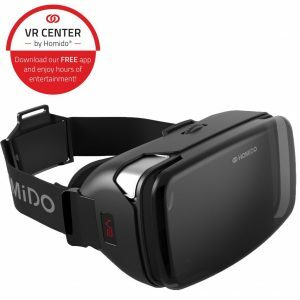 The Homido VR headset is a relatively affordable VR headset with great features for its price point. It is designed for smartphones with 1080p resolution, but it also works with smartphones with a resolution of 720p. It also comes with a 100-degree field of vision for immersion. It works with iOS and Android devices that have a display of 4.5 to 5.7”. There is a capacitive action button on the headset that allows users to interact with the headset without using a remote control. The capacitive button can also work with the gyroscope and the accelerometer of the phone for some apps. The Homido VR headset comes with a lot of games and apps which are accessible via the Homido Central. The apps are far more than what you will get from other headsets. There are over 2000 apps and games available with more added weekly.